While John Key was in Los Angeles wooing the US studio executives at dinner to bring more film projects to New Zealand, a significant piece of mutual wooing was almost simultaneously taking place on the other side of the Pacific rim. During a five-day visit to Beijing last month, Titanic and Avatar director James Cameron said he was looking very seriously at the possibility of a co-production with China. He said he was visiting the country on a fact-finding mission to “find out what restrictions need to be met, find out what content guidelines need to be met, and find out the economic incentives are”. The 3D re-issue of Cameron’s Titanic earlier this year became the first Hollywood film to perform better in China than the US on opening. It ended up grossing $154.8m in China, compared with $57.9m in the States. More co-productions are likely after China announced in May it was to build a $1.27bn Hollywood co-production film studio. Lo and behold, the next thing we know, Cameron has announced the postponement by a year, of the release of Avatar 2. There is no reason to hit the panic button (yet) about Cameron’s commitment to New Zealand for the two Avatar sequels, but by the same token, his keen interest in China – and the sudden rise of that country as a factor in film production calculations – is a major development. Where China currently lags (and where New Zealand retains a competitive edge) is in the skills on offer here all the way through to Weta’s cutting edge post-production expertise. 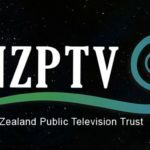 But if New Zealand really is playing the long game in its film policy, as Key claims that he is, this country needs to be aware that its current skills margin may not continue to be significant for very much longer, and plan accordingly. For now, the government’s current film policy is called Peter Jackson, and such reliance is simply not sustainable. Locking down the Chinese incentives was – according to the Guardian story – the main reason why Looper director Rian Johnson shifted the locale of the story from Paris to Shanghai. The switch in setting (plus a few other concessions) enabled the film to be classified as a US/China co-production, and the deal has certainly paid off. Reportedly, Looper made more in China on its opening weekend than in the US, where it still hit a close No. 2 at the box office. None of this will have been lost on James Cameron – or, one imagines, on Peter Jackson. For now, the main ingredient in securing Chinese funding seems to be the content onscreen, so that Chinese filmgoers can see their own country reflected in international cinema. At the very least, this will mean that China’s urban and rural landscape will become a genuine rival for our own natural wonders as film locations. But that $1.27 billion Hollywood co-production film studio shows that it won’t stop there. Chinawood’s main aim will be to service co-productions between Hollywood and China – a move that will no doubt be popular among US producers, to get around China’s strict quota regulations. Over a third of the Chinawood investment represents a financing fund to kickstart production, and the centre will also contain post-production facilities and a dedicated 3D conversion centre. Jobs for New Zealanders are what Key claims will be the pay off from his Hollywood foray. Some, in response, have recently decried the level of high tech, high paid jobs going to foreigners, and not to New Zealanders. The Herald on Sunday raised that point yesterday in a piece about the Power Rangers production being shot here, and Weta is also bringing in many highly trained foreign staff to work on The Hobbit. Yet there is nothing new about this. On Lord of the Rings, skilled workers from the US, France and elsewhere swelled the ranks of technicians required for the high pressure, highly specialised work needed to complete the films on deadline. This is inevitable. There is simply not the capacity within New Zealand to meet the rush of demand at the top end of The Hobbit production – and within Immigration, there would be no will or ability to arbitrate which local post-production technician could, or couldn’t match the skills of the foreigner that the production wanted for the job. 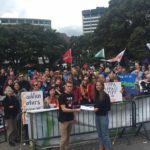 The real concern is whether the contracts being offered to New Zealand workers are fair and equitable, and the law change that occurred in the wake of The Hobbit dispute raises genuine concerns on that score. Finally, the developing traffic in US/China film co-operation seems oddly out of step with the general thrust of the Trans Pacific Partnership Agreement, which is a US-led trading region aimed at curtailing China’s influence in the Asia-Pacific. China is explicitly excluded from this emerging pact. Reportedly, the TPPA contains highly restrictive clauses on copyright, piracy, intellectual property rights etc. 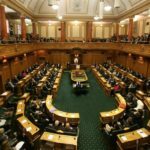 If China is to become a significant player in global cinema production in the next 20 years – which we should be treating as a given – it is hard to see how our film industry would benefit from a TPPA that excludes China, and that ties us into a restrictive copyright/IP regime aimed against it. Especially if, on the side, Hollywood and China’s new film studios are pursuing their own bilateral arrangements. Plainly, we need to be talking to China now, with a view to co-operation on film production, and not exclusion. James Cameron, you can bet, is busily triangulating how to fit China alongside New Zealand for maximum leverage, within his future plans. Footnote: Just in case you’re starting to suffer from Dotcom Fatigue, David Fisher’s recent work on the saga in the NZ Herald has been exceptional, and should not be missed. This is a terrific piece of work and so is this.